Gene passed in January, and had a massive collection of kites, laundry and ground stuff. This was posted on the kite flyers Facebook page this morning, immediately contacted Mary, and she gave me permission to spread the word. Here is a list of things for sale so far. She is still working on adding as she can. Thanks for posting O2BKYTN. I've seen the list now. It's a BIG collection. 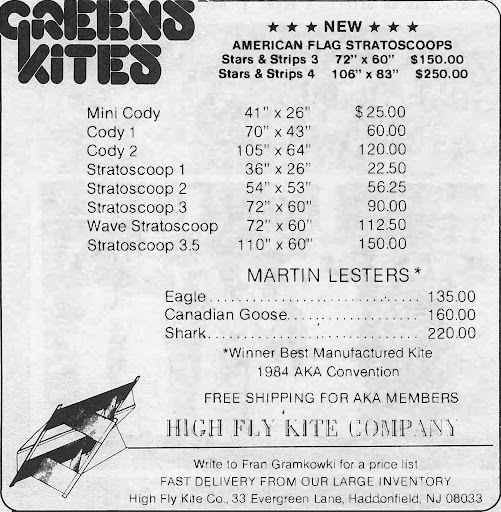 Gene surely was an avid collector of kites of all kinds. Looks like I've acquired a 6' American flag parafoil with drogue from Gene's collection. Any idea what strength of flying line I'll need for such a kite? Congratulations. I've missed on everything I've asked about. Everything I tried for is already sold, but I think there's lots left. I honestly have no idea, but once you get it in hand, you can compare the actual size to foils on vendor sites to see what they recommend. KiteVoice wrote: Looks like I've acquired a 6' American flag parafoil with drogue from Gene's collection. Any idea what strength of flying line I'll need for such a kite? goestoeleven wrote: I honestly have no idea, but once you get it in hand, you can compare the actual size to foils on vendor sites to see what they recommend. Based on the info below, I'll need 115 kilogram (approx. 250 pound) line. Steve, do you have any similar line from your "big purchase?" I might have some. I did not get much in the heavier weights. I have lots and lots below 150lb weight, but that doesn't help. I'll take a look before the retreat. Going by the rule of thumb of "multiply the number of square feet (of the kite) by 5, and then use line rated for that many pounds", you would need 150 pound line. That estimate has the margin of safety (against line breaks and lost kites) built in. When I joined Caterpillar the phrase "When in doubt, make it stout" was the stated corporate philosophy. Seems that that thought process has carried over into the line choices I make. I hate the thought of chasing kites, so I error on the heavier side. Lines strengths in my line bag are: a wide assortment 100 lb and less, 150 lb, 250 lb, 300 lb, 450 lb, 1200 lb. My go-to sizes are 150 (Premier), 450 (Gomberg) and 1200 (Gomberg). 1) 20 sq ft mini-mocks on 150 lb line until the wind gets over 20 mph ... then I've gone as high as 450 lb line 'cuz it was all I had at the time. 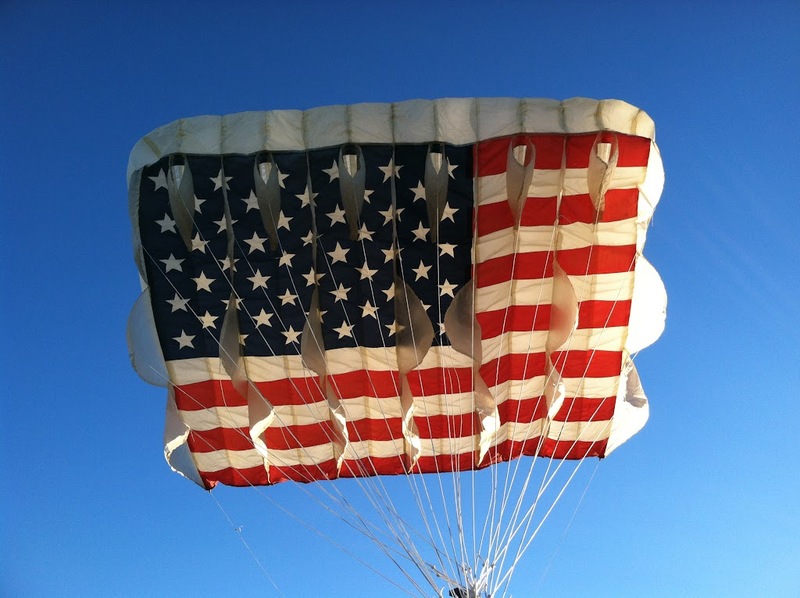 Since my Bull Dog kite (4) is the closest in design to your new one, I'd probably opt for the 250 lb line. Unless the winds are going to be extremely light, there is no real advantage to minimizing your line strength. That is, unless you're going for an altitude record, and then, you'll be buying spectra and varying the diameter as the line is deployed. It's so nice having an engineer like Jeepster in the club . . . . thanks for the input. Now that I have a rule of thumb to use, I feel I "need" stronger line (and something(s) to fly at the end). Strongest I have at the moment is one reel of 500lb . . . I tried to get some of the bigger stuff in the sale, but missed on all of it. Jeepster wrote: Since my Bull Dog kite (4) is the closest in design to your new one, I'd probably opt for the 250 lb line. So the bottom line is that you agree with the manufacturer's recommendation of 115 kilo (approx. 250 pound) line, right? That's what I'm hoping Steve might have a surplus of from Stan's collection. It's a good starting point. See how it flies and how it pulls and then adjust the line from there is really what I'm suggesting. Just unboxed the kite. 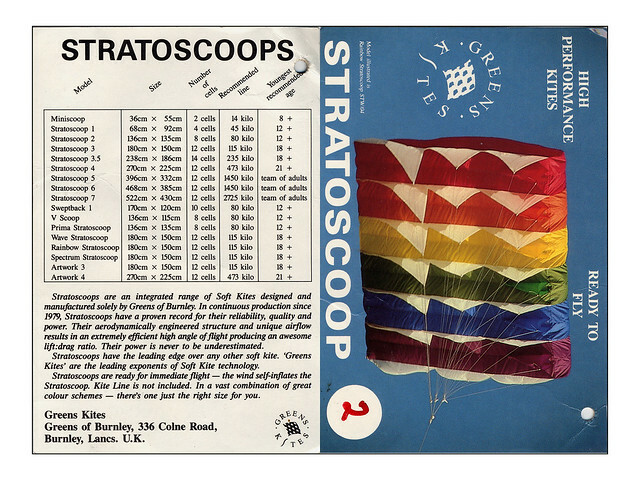 It is indeed a Greens Stratoscoop 3 designed as an American flag. Looks like it hasn't been out of the bag in a long time and it's a bit dirty and smelly. I'm airing it out on the picnic table on our back porch right now. Looks like it might take considerable wind to inflate the thing. Unfortunately, I have no idea what its wind rating might be. 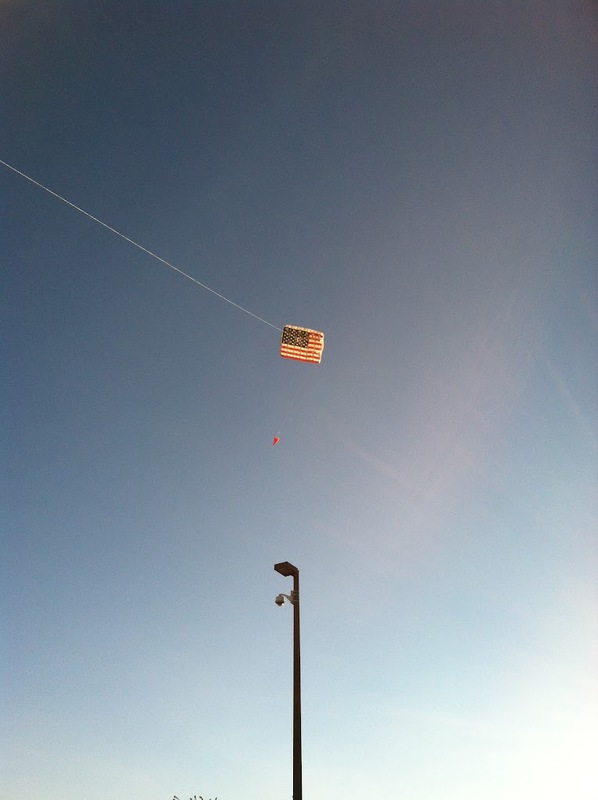 Got the flag stratoscoop in the air this evening. Launched easily in what the airport reported to be 13 mph wind. Neat kite ... good catch. Looks like you've got an afternoon's project straightening out the bridle lines. Then maybe some tuning since some of the keels don't look like they're carrying their load ... or is that just 'cuz it's low to the ground? Do you have a closeup of one of the first keels? It looks like they are double walled and open like scoops. If so, wonder why. Also, how did it pull? With a multi-row bridle line setup, one can tune the kite to really, really pull. My bull dog, at 75 sq ft, will really bounce the back end of my Jeep when I use it as an anchor point. That will be a popular kite at festivals! Jeepster wrote: Looks like you've got an afternoon's project straightening out the bridle lines. Then maybe some tuning since some of the keels don't look like they're carrying their load ... or is that just 'cuz it's low to the ground? In the close-up shot, I'm holding the tow point in my hand, so it's really close to the ground. But when it was flying (75' or so up), it did want to tilt to the right. So I'm sure it will need some tuning, which seems like a major chore with all those lines! The stratoscoop is an unusual parafoil. The top ends of the cells are closed. The air enters through "scoops" that are placed between the keels in the top row. I did not hand-hold the kite (except for the close-up). I tied it off to my car with 200 lb. line (strongest I have) before launching in 13 mph wind. I did grab the line at one point and give it a pull. It seemed to be pulling pretty hard, like it could easily hold up a lot of line laundry. It looks like I'll make it to the retreat on Saturday and I welcome you guys to take a look and give advice. For those who are interested in Gene Lewandowski's collection, I just learned that daughter Mary Buck has updated the sale website and the collection inventory that's posted there.